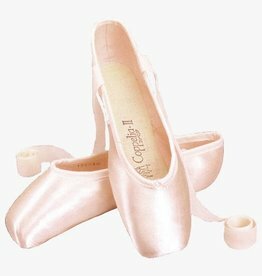 Chacott is a Japanese dancewear company and one of the largest in the world - but Chacott pointe shoes are actually made by Freed of London. Their two most popular models are the Coppelia(made in Spain) and the Veronese, both best suited to a somewhat tapered (Grecian) foot, with a medium vamp. The Chacott Veronese II (pictured) is a lightweight shoe which needs very little break-in time. It has a medium to low vamp and is best suited to a low profile, somewhat tapered (Grecian) foot. 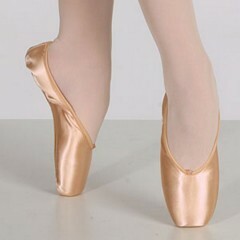 The wingless toe box is helpful for dancers with painful bunions.